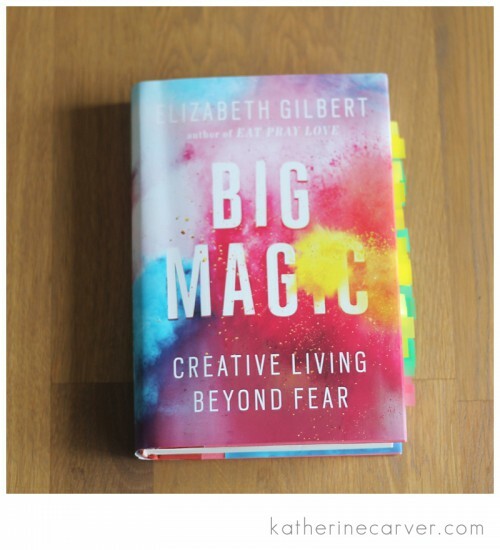 I recently finished reading, Big Magic by Elizabeth Gilbert! It is a fantastic read for everyone, as everyone is humans and inherently creative. As you can see from the image above, I have earmarked the entire book! Big Magic at its core is a celebration of a creative life. Big Magic is broken into six sections: Courage, Enchantment, Permission, Persistence, Trust, and Divinity. This is one of those books that I have on my desk, that I know I will go back and reference time and time again. I am truly inspired after reading Big Magic. Some of my favorite quotes from Big Magic appear below.